The relationship between art and financial world is not only focused on market transactions. Here to confirm it is the singular project conceived by the Divisional Manager of Banca Fideuram in Rome, Giorgio Migliori, who, starting from a personal passion for the art, thought to launch a series of temporary exhibitions which, from the 8th of October on, we’ll be installed within the offices of Via Cicerone in Roma. Three floors of exhibition only open to the public by appointment, and the protagonists will be artists with no limits in terms of formal expression and use of means. A long term project which has been conceived with the purpose to find a connections with the customers which goes further the conventional relationship, as Giorgio Migliori points out: “The idea is to find a new dialogue form with the public, the exhibition, in fact, are not directed to trading, for that there are many specialized companies, and if a visitor or a customer is interested in investing in art, will be our care to put him in touch with an expert art advisor”. Currently, the Banca Fideuram hosts until the 28th of September the personal exhibition of Vincenzo Balsamo, an artist from Brindisi and roman by adoption. He is one of the Italian protagonist of the abstract art and its eclectic essayer. A long career which began in the 50’s with a figurative overture in which the attention was focused on the landscape, to got later, throughout different formal phases, to the utter figure breakdown. In the 1959 he opened his first studio in Via Margutta in Rome and from the early years of his path he confronted himself with all the leading artists of that time: he associated with the artists of “Scuola Romana” like Scipione and Mafai, and, still in Rome, collaborated with the cinema by designing the sets for some famous movies as Cleopatra. In the 70’s he came across Picasso and this encounter resulted in a need of more synthesis, during this period the perspective got compressed in chromatic surfaces juxtaposed in absolute balance. It followed a while in which the sign became the real protagonist in a fertile struggle with the colour in the “Decomposizioni”, and then it seems to recover its balance again in the “Nebulose”s compact disorder. Then we come to exhibition’s work concerning the artist’s latest production, what the critics refer to “Astrazione Lirica” and that started in the 1987, year in which he started again with painting after a period of crisis. His son Francesco, who is in charge for the installing, guide us through the exhibition areas of the bank. The event is not any better than a great exhibition: a personal composed by more than 60 works sets in any building’s space. 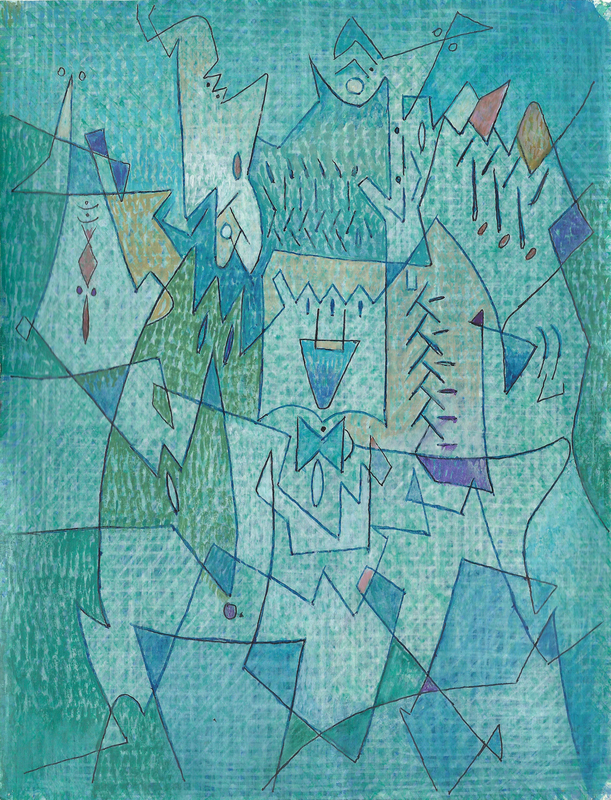 A string of paintings where seems to be held the whole artist’s formal path and which reveal itself as the summary of all his previous production. Paraphrasing Bergson we can say that the image becomes the joint between matter and memory. The sign takes on a dynamic feature, almost musical, as we can see in…. The large chromatic areas, that in the post-cubism period parted-off the space neatly, make now way to evanescent tangles to whom is combined a skilful use of the light/dark. 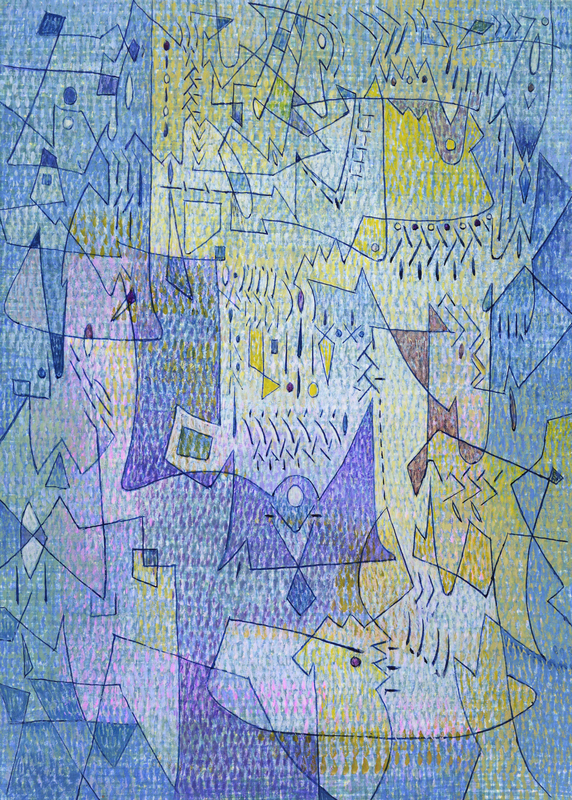 As we can clearly see in “Ai confini della luce” (2008), the light seems to leak anywhere in, walking through the Paul Klee and Kandinkij’s teaching, artists of whom Balsamo become ideal successor, in the latest artist 30 year’s works the colour gets transparent: in his palette warm and cool tones alternate themselves in a defined twine of lines, where the figurative landscapes period’s memories take the form of chromatic synesthesias.